I had some crazy deadlines for work earlier in the week, so I'm looking forward to the weekend even more than usual. I'm also off work on Monday, and I'm excited to use that time to relax... and maybe try to get just a little bit ahead on my to-do list. For as much motivation as I've had this January, I feel a little bit like I'm perpetually behind on everything I'm trying to get done. And of course... after I wrote the paragraph above, I woke up to a broken elevator in my house on Thursday morning. This threw a serious wrench in the rest of the week/weekend - I'm currently stuck on the upper floor of my house, unable to get out. Time off sounds nice, but it's not so much fun when it's forced and you have to worry about when the repairs will be completed. Having the elevator - and the ability to get around in my house - is something that I take for granted day-to-day, and something that I really rely on. I'll do another (longer) post on the elevator another day, because while it's something I take for granted, I know most people don't expect to find an elevator in my house! It's not too late! Flu season is not over, and you can still get your flu shot. Read my post here to understand why I feel so strongly about this, but please - unless you are allergic, just get your flu shot. TWO - What is the HFPA? I will be honest - I will read anything that Caity Weaver writes. She is one of the most engaging and entertaining writers I've come across, while also being actually informative. This column is about the HFPA, but I HIGHLY encourage you to sign up for her newsletter - you will not regret it. I wouldn't be me if I didn't share Jimmy Fallon's interview with Lin-Manuel Miranda as he steps back into the role of Hamilton in Puerto Rico. I know I'm obsessed, but truly - I am continually impressed by how Lin-Manuel keeps doing more and more charity and fundraising work as his star keeps rising. All of the funds raised from Hamilton's run in Puerto Rico are going to the Flamboyan Arts Fund, to help artists on the island after it was devastated by the hurricane. I am not, and never will be, a morning person - this is a fact that I've accepted about myself. But I agree with this writer - the world does try to make me feel guilty for not waking up early and seizing the day! I'm more than happy to seize the day... just a few hours later than everyone else. 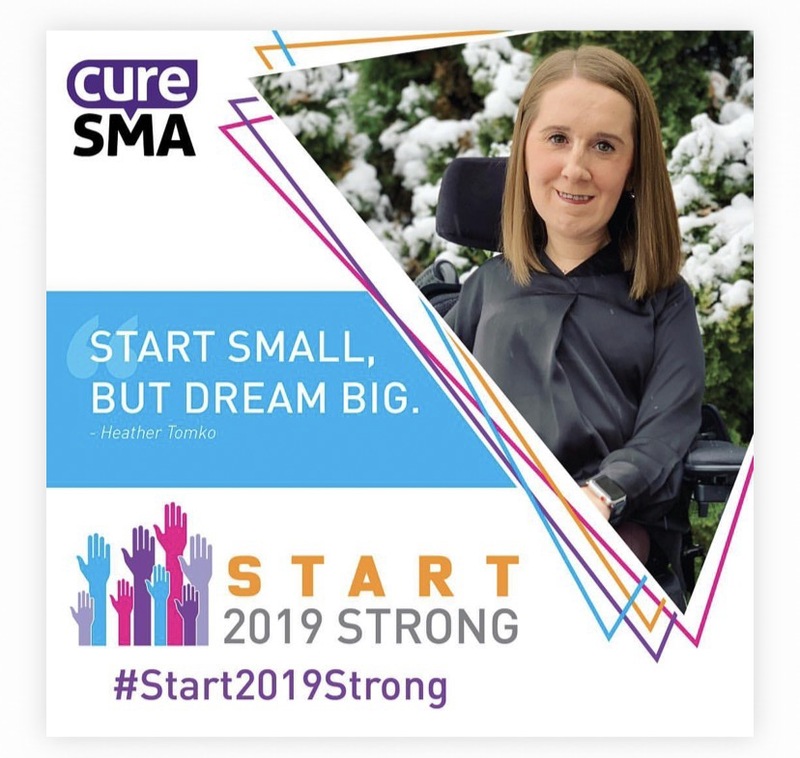 Finally, a little bit of self promotion - Cure SMA asked to write a post about making and achieving goals, and it went live earlier this week. Do you have any goals set for yourself in 2019?